Iran is one of the countries in the world that has the longest history. 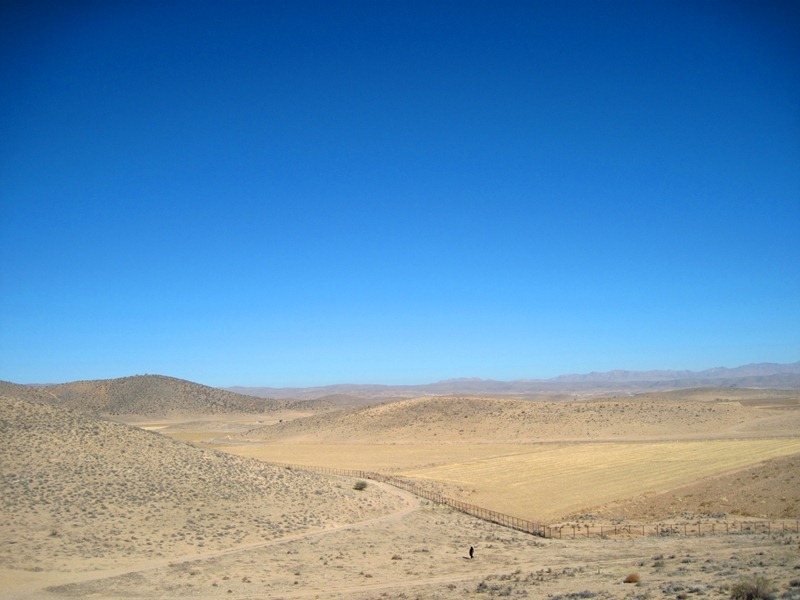 Numerous archaeological artefacts found in Iran prove that the country’s ancient cultures and urban settlements existed in the fourth millennium BCE. 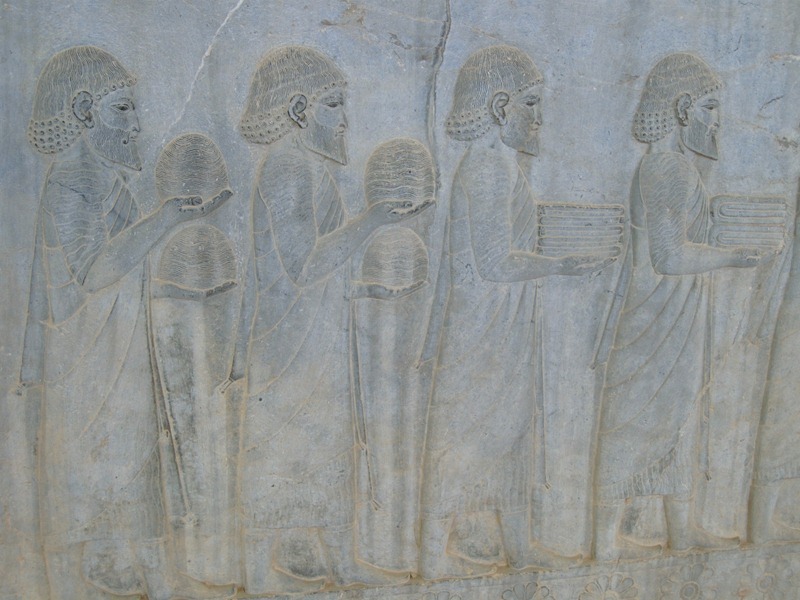 By 650 BCE onwards, some pockets of Iran were controlled by a few number of empires, including the Achaemenid Empire. Because of this, the country is known to be rich with cultures, arts, architectures, and even literature. 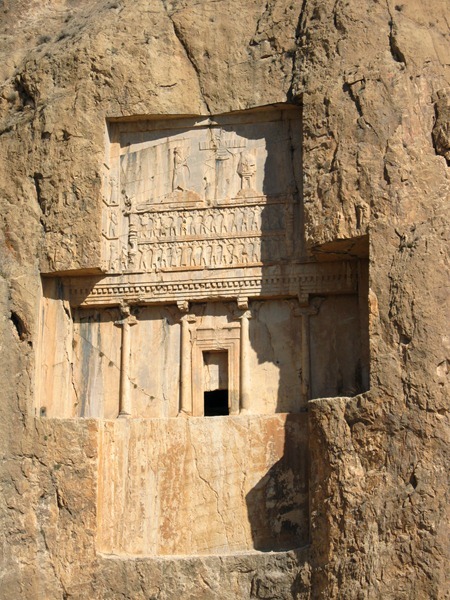 Travelling to Iran would not be complete without visiting historic sites of the Great Achaemenid Empire. 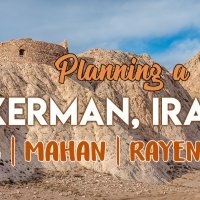 Since these sites are not too far away from Shiraz, I decided to visit them as soon as we arrive in the city from Yazd early morning. 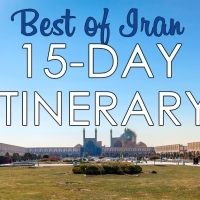 An Iranian guide, recommended by Lonely Planet, picks us up from the bus station to our ultimate destination. I’m hoping that by having a tour guide, we’d not only visit these places and be amazed by their architectures but also learn about the history behind them. 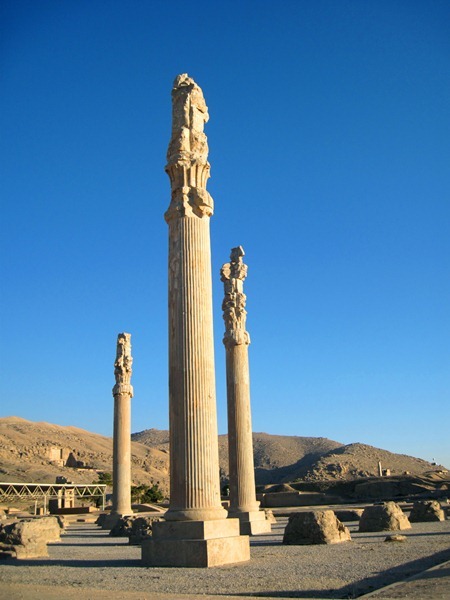 When it comes to Achaemenid Empire, I admit that I’m very much a novice. 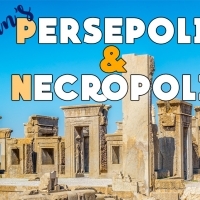 It’s only when I’m in Iran that I learn a great deal of this empire, which turns out to leave a long-lasting impression on the heritage and cultural identity of the region, in particular, Persia. 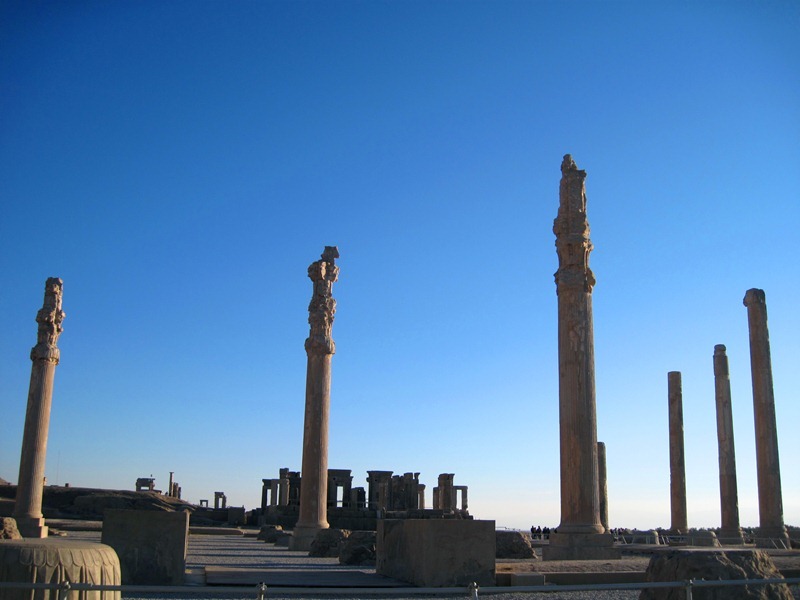 Founded in the 6th century BC by Cyrus the Great, the Achaemenid Empire was once the largest empire the world had yet seen — in terms of population. At its greatest and triumphant period, the empire was in control of areas extending from Anatolia and Egypt across western Asia to northern India and Central Asia. Our first stop is Pasargadae, which used to be the Persian capital of Achaemenid Empire and the residential palace of Cyrus the Great. 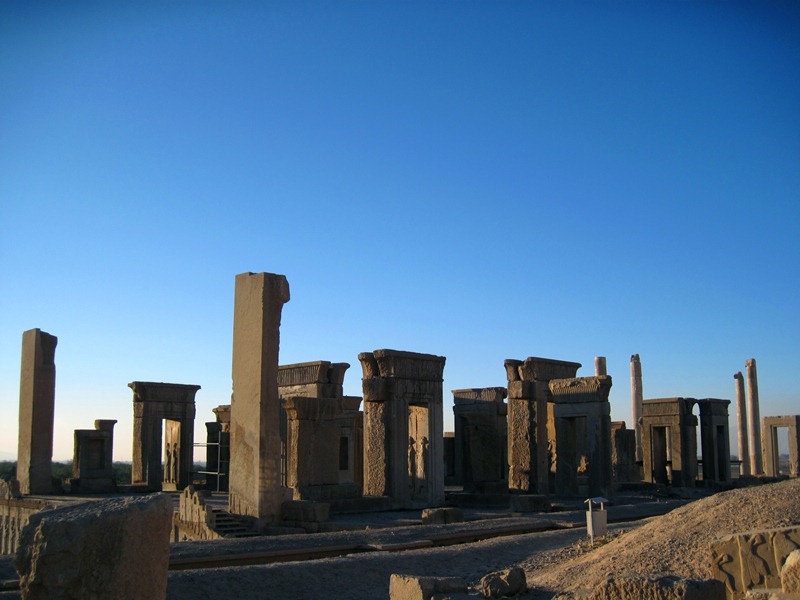 Although what remains of Pasargadae now is ruins of ancient palace and citadel, our guide pictures this city as green, filled with beautiful parks and gardens, as well as small channels and irrigation system. The design and concept of these gardens are considered unique and have been used as a model for many ancient and today’s modern parks. 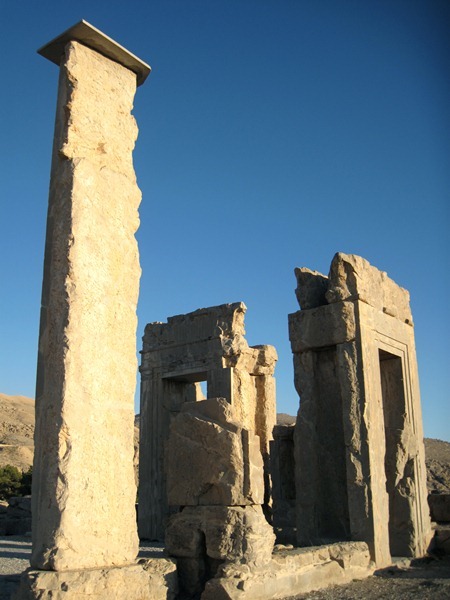 The city of Pasargadae itself is beautifully located in a vast area surrounded by mountains. 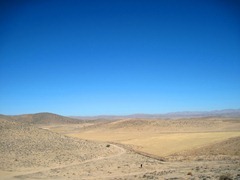 Today, this area is nothing but a vast empty desert. 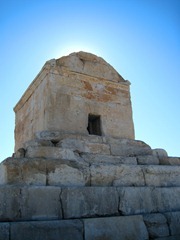 One complete structure that is left standing in Pasargadae is the tomb of the founder of the city and ruler of Achaemenid Empire, Cyrus the Great. 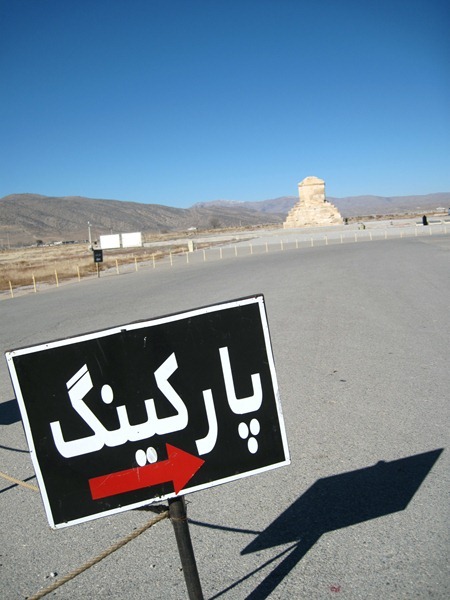 Regarded as the father of Iranian nation, Cyrus the Great left behind a lasting legacy that defines the national identity of modern Iran today. 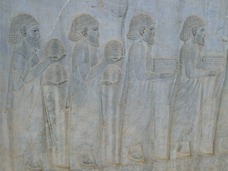 The famous Alexander the Great was known to admire Cyrus the Great from an early age. When he conquered Persia, Alexander paid respect to the tomb of Cyrus and ordered its condition to be restored and improved. It is not without reasons that Cyrus drew admiration from the likes of Thomas Jefferson, Reza Pahlevi, and even Mahmoud Ahmedinejad. 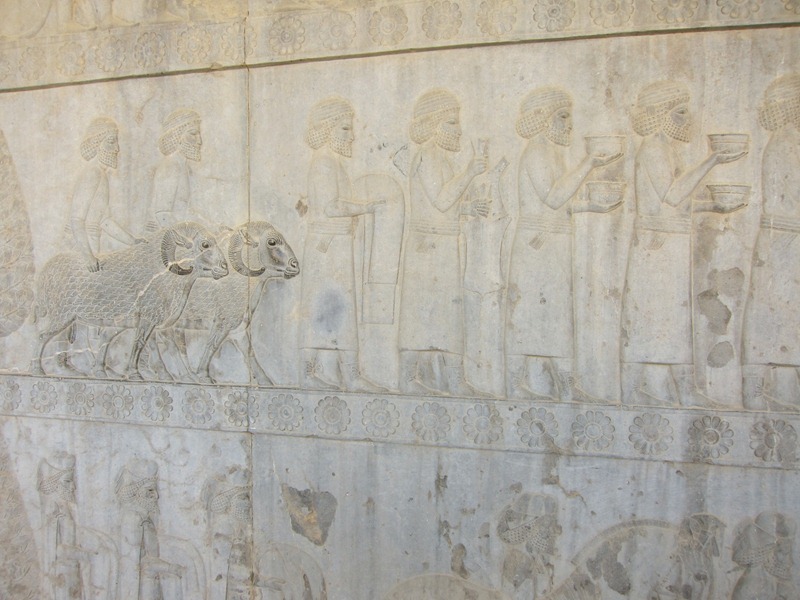 As to the region […], I returned these sanctuaries on the other side of the Tigris, the sanctuaries of which had been ruins for a long time […] I also gathered all their former inhabitants and returned to them their habitations. Furthermore, I resettled upon the command of Marduk, the great lord, all the gods of Sumer and Akkad whom Nabonidus had brought into Babylon to the anger of the lord of the gods, unharmed, in their former chapels, the places that make them happy. Unlike many inscriptions found that mention about a successful conquest, this victorious declaration shines a different light. It does not advocate brutality, repression, or hostility. Instead, it promotes tolerance, peace, and freedom. The declaration speaks of Cyrus and his people being respectful to the gods of Sumer and Akkad and allowing the people to worship them. In the Hebrew Bible, it is also mentioned that Cyrus permitted freedom of worship to the Jews, allowing them to return home from exile and to rebuild the temple in Jerusalem. Cyrus’ tradition of tolerance was maintained by his son-in-law, Darius the Great, who ruled Achaemenid Empire some 20 years after his death. 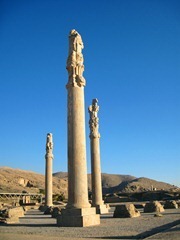 Due to Cyrus’ successful policies, the empire continued to be in power for 200 years after his death. 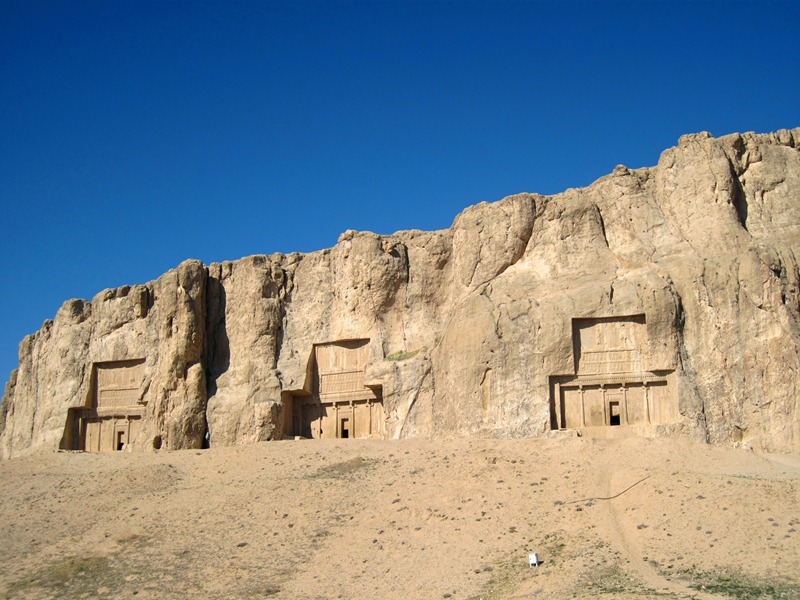 Located some 50 km from Pasargadae is Naqsh-e Rustam, where the tombs of four Achaemenid kings lie, in which one of them is explicitly identified as the tomb of Darius the Great. 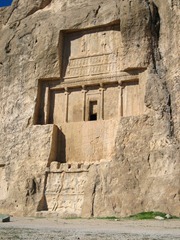 The four tombs are carved out of the rock mountain and are located few meters high above the ground. 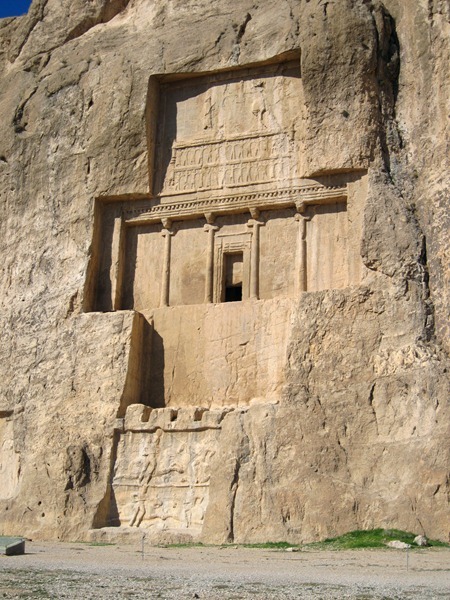 The tomb consists of two inscriptions — one of them suggests that Darius was Zoroastrian. A great god is Ahuramazda, who created this earth, who created yonder sky, who created man, who created happiness for man, who made Darius king, one king of many, one lord of many. 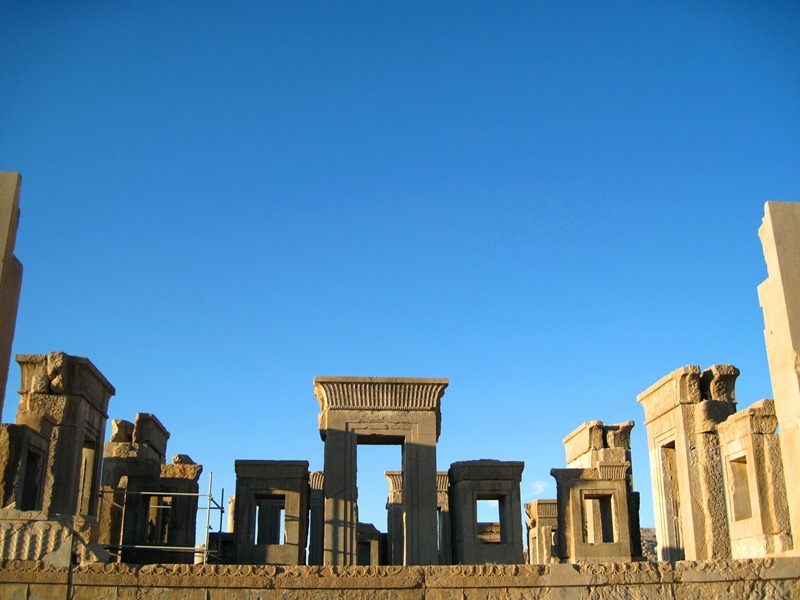 During Darius’ reign, the capital city of Achaemenid Empire was moved to a new city he ordered to build, called Persepolis. Situated about 12 km from Naqsh-e Rustam, Persepolis was conceived to be the seat of government for the Achaemenian kings and the centre for receptions and festivals. A number of palaces and structures were constructed, which include Apadana and Tachara. 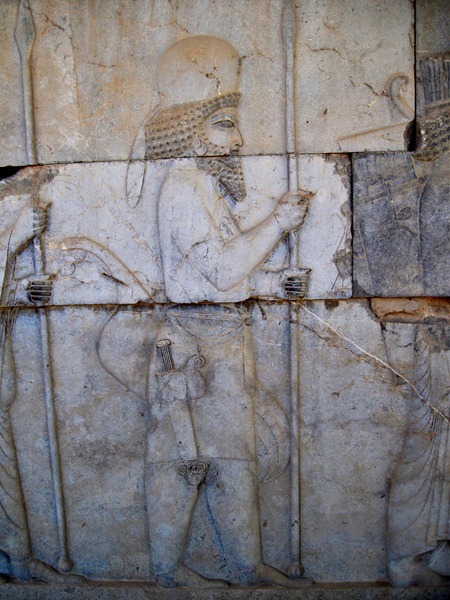 Some of the walls of these palaces are beautifully decorated with frieze statues depicting notable men, soldiers, guards, and delegates from different parts of Achaemenid Empire carrying their gifts for the king. 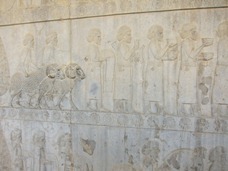 This is obvious through the traditional clothes that they wear, which are shown in these reliefs. Unfortunately, this beautiful city was sacked, looted, and perhaps burned by Alexander the Great in 331-330 BC upon his invasion of Persia. 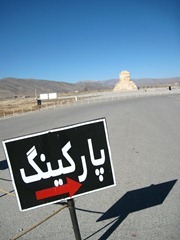 It was not until 1930’s that the ruins were excavated and shown to the world. The ruins of Persepolis are the testimony to the wealth and glory of the Achaemenid Empire.